Insurance is very confusing, and if you don't understand what the different types of coverage mean, you could be leaving yourself financially exposed. This insurance protects you from claims made against you which you are obligated to pay if you cause bodily injury to someone in a crash. This also covers your defense costs. Bodily Injury Liability limits usually specify 2 dollar amounts, the first amount limiting payments to a single person per accident and the second amount puts a cap on the total amount of payment for all persons injured per accident. This is your "fire and theft coverage, and covers damage to your car for anything other than a wreck, like tornadoes, floods, vandalism, theft, hitting a deer, etc. Collision coverage pays for the damage to your vehicle by collision with another vehicle or fixed objects like trees, signs, buildings, etc. This coverage is what gets invoked when the accident is your fault. If your vehicle is in the shop for more than a day for repairs resulting from an insurance claim, Many policies with this coverage will pay $15 or more per day for usually up to 30 days, or some maximum value to rent a car while you wait for repairs. Higher limits are available. In many states, there is no deductible on windshields, because it's against state law to drive with a damaged windshield. But for the rest of your windows, you still have to pay your comprehensive deductible before they'll pay for any broken glass. You can pay more for Full Glass coverage to eliminate any deductibles for broken glass. Some companies give you full glass at no extra charge as a selling feature. Covers medical expenses from your crash injuries and covered persons in your car, no matter who was at fault. In most no-fault states, PIP covers medical and rehab, work loss, funerals, and other expenses incurred by you, your family, passengers in your vehicle, and pedestrians injured by your vehicle. Not every state has this coverage, and it pays for damages regardless of who is at fault in the accident. That's why they call it no-fault. Similar to Bodily Injury coverage. 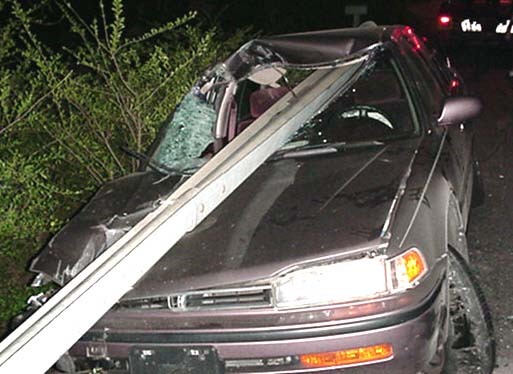 Liability covers only the damage caused by you to someone's property, car, fence, lawn, telephone pole, house, etc. When you are at fault in a wreck, this coverage is invoked when the other driver makes a claim against your insurance to repair their car. If your car breaks down, this coverage will pay for a tow truck or roadside assistance to get your car going again. This usually pays about $50-$75. One of my personal favorites. I think everyone should have this coverage, because it protects us from all the people out there who refuse to insure their cars. Here in Florida, uninsured drivers is worse than a problem, it's a plague. I know so many people who got burned royally because of uninsured drivers. In Florida you have to show proof of insurance to renew your tags. But many people just take out a policy, send in proof to the state, then let the policy lapse after a month, and then the policy gets canceled. If I was king, the insurance companies would notify the state, who would then send a tow truck to impound these losers' cars, and they don't get them back until they renew the insurance, and pay the towing fees on top of that. Underinsured Motorist pays for your injuries up to the policy limit when the other driver either has no insurance, or their lame coverage can't pay for you injuries or property damage. This coverage usually includes hit and run drivers as well.